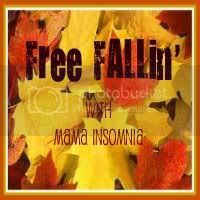 MamaInsomnia: Are you ready to FALL? Don't forget to get your favorite Fall inspired post ready for next week's link up!! I can't wait to read them all! !